Another great Iguana Jack baja hoodie. This drug rug comes in maroon, grey, & black stripes. 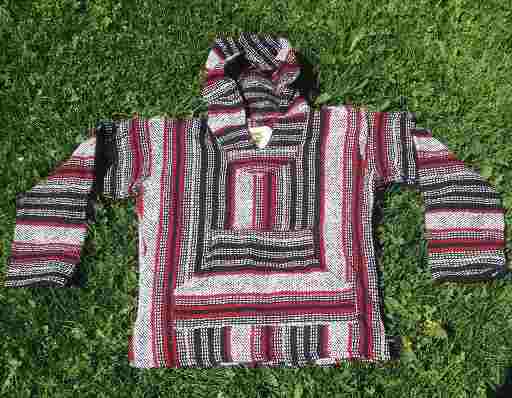 Eco-friendly, our baja hoodies, Mexican ponchos, drug rugs, etc. are made with 100% acrylic fibers. Machine or hand wash.